The Snowden disruption. Google knows many of us well. So does Facebook, Twitter, LinkedIn and our mobile phones. We’ve shared a lot with them for several years. Freely. In fact, for some of us, we’ve probably shared more with them than we’ve ever shared in our face-to-face, professional (and personal) relationships. The virtual, digital world these sites have created has made it easy for us to stay connected with friends, family, colleagues, and even complete strangers. Not just on our desktops, but also on our iPhones, Droids and tablets. In addition, beyond this social sphere lies our favorite retailers, financial institutions, utilities and government agencies. We’ve shared even more intimate details with them and have trusted that they would not only protect this information, but use it to provide us with a more efficient, personalized customer experience. And for the most part, this digital model has been working. Wow, Google, Facebook and Verizon. We thought we could trust you. Why this matters. All kidding aside, but not really, data – big and small – is having a huge impact on our organizations, not to mention our personal lives. The exponential growth of social media data and digital content alone is forcing our traditional marketing teams to become certified digital marketing ninjas. But beyond the transactional data we’ve been collecting from our customers for years (that they know we’re collecting), we can now pull in their web, mobile, and social media data (that they may assume, but aren’t sure, we’re collecting) and provide them with a more personalized experience, thus increasing their satisfaction and, ideally, our bottom line. And this is where the data ownership discussion gets a bit messy. Who owns this “big” data – e.g., social, mobile, location – that’s coming in, anyway? For example: If I share a picture of my team’s outing on Facebook, does that status update and picture belong to me, to the people I tagged in the picture and/or Facebook? What about the information, photos and videos that brands share on their Facebook pages? If your content or picture is shared, who has the rights and permissions to do something with it? And does Facebook have the right to use this data for its own advantageous gain – financial or not? There are hundreds of examples like this, but Facebook continues to demonstrate the point well. They have proven time and time again that the answers to the above questions are a moving target. Just when we get used to the latest set of rules (and all the complaining and commotion dies down), Facebook rolls out the next batch of changes. Thank you, Facebook, for keeping us on our toes. Questions to think about. Organizations have been having the data ownership discussion for years – if not formally, then at least informally. With big data, this discussion climbs a few notches. Not only does big data bring in greater volumes and different/new types of data, much of this data is coming in from external sources – sources that are most likely following a different set of data rules than you are internally. Do you understand how and where your data is changing hands? This is something too few companies do well. With the increasing amount of data resident in the cloud and co-owned by business partners, consider creating a workflow of data hand-off points. Are you categorizing your data around privacy constraints? All data is not considered equal. Some data, like general customer information, might be accessible to a wide variety of internal employees, whereas financial data may not. Ownership semantics aside, have you designated data stewards? These people understand the lineage of the data (where the data originates) – not only from source systems, but in terms of the people and organizations it touches as it's used in different business processes. One final thought. As the data brokers and Edward Snowden have reminded us, customer data – whether it’s transactional data, on Facebook, a website or email – is going beyond the four walls of the companies collecting the data. Much of this data, in fact, is in the public domain. As the discussion of (and battle over) data ownership continues within our own organizations, not to mention the domestic and international legal battle grounds, perhaps our focus shouldn’t be so much on the “who” – but rather the “how” of collecting, managing and protecting our customers’ data. Not only is it a matter of trust, it’s just good business. Editor's note: I am so pleased to showcase another big data series from Tamara as a Friday Feature. 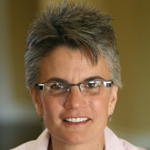 As marketing becomes more digital, big data looms as an issue in multiple ways for marketers. In this series, I like the way Tamara helps marketers go beyond sorting out big data to understanding implications, such as ownership, which then makes finding solutions more accessible. 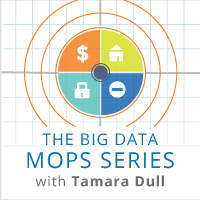 Stay tuned for more in the Big Data MOPS series, and thank you for following! You thought you could trust Google.